Submitting a Gift Aid declaration enables Glyndebourne to reclaim tax on charitable donations at the rate of 25p for every £1 you give. 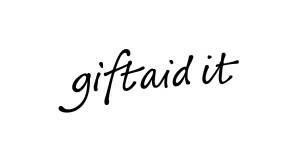 If you are a UK taxpayer we can claim Gift Aid on your subscriptions and/or donations at no extra cost to you. To be eligible, what you pay in UK income tax and/or capital gains tax must at least equal the tax that all charities you donate to can claim on your donations in the tax year. Donations from companies are not eligible for Gift Aid. Gifts made with Charities Aid Foundation (CAF) vouchers have already had Gift Aid claimed on them by CAF, so further Gift Aid cannot be claimed. For more details of eligibility please see the HMRC website. A legacy left to a charity is exempt from Inheritance tax. Depending on the size and complexity of your estate making a gift to Glyndebourne can also help lower the amount of Inheritance tax. Find out more about the tax implications of leaving a legacy here. Pay tax in the US? If you pay tax in the US you can support Glyndebourne tax efficiently. Glyndebourne Association America Inc is a US based 501( c )(3) charitable organisation which supports Glyndebourne and its productions in the UK. Contributions to Glyndebourne Association America Inc are tax deductible for US citizens and taxpayers to the extent permitted by US law.